The perfect urban character, Audi is not only compact and sleek but also exceedingly bold and muscular. With class-leading specs and attractive Audi Q2 price in Pakistan, the all-new off-roader is set to defy the convention and define news standards for an electrifying, stable and safe driving experience. It has a sharp exterior and a complete luxury-oriented interior. Meanwhile, the machine happens to be extraordinarily energetic. Here the displacement has been replaced with supercharging technology to reduce both the weight and size of the engine. It is accompanied by impressive constant dynamics. At the same time, the Audi’s TFSI engines are also capable of high compression. The Audi Q2 is powered by the 1.4 TFSI machine that will surprise and impress the users with the power output of 150 hp. With justifiably high 2018 Audi Q2 price in Pakistan, the luxury class car gives you the options of manual and automatic transmission system. In the manual version, there is a six-speed gearbox to provide the driver with the most appropriate gear for every single situation. On the other hand, if you decide to go for an automatic variant, it brings wonderful seven-speed transmission powered by the dual-clutch, S Tronic technology. The S tronic ensures that the gear changes occur with virtually no disturbance or interruption of traction. Other drive related tweaks include Progressive Steering and Audi Drive Select. Available as standard on all the Audi Q2 variants, the progressive steering features interlocked rack to allow for the variation of translation with the steering angle. So, you enjoy a more dynamic drive. Turning to the Audi Drive Select, it is an optional vehicle dynamic system which interacts with and enhances the working of steering and gearshift. Individual, Efficiency, Dynamic, Comfort and Auto are the modes associated with the Drive Select mechanism. The latest 2018 model of Audi Q2 is a 4.19 meters long sports-oriented luxury car, measuring 1205 kg and 2.60 meters in weight and wheelbase, respectively. The superior Cw value of 0.30 hints at the perfectly aerodynamic design of the car. At the first glance, you will find it a spectacularly elegant sports utility vehicle (SUV). The muscular body, broad shoulders and angular styling render the vehicle courage and confidence. There is also the Audi exclusive personalization option which allows the buyers go for their individual finish in their favorite color. 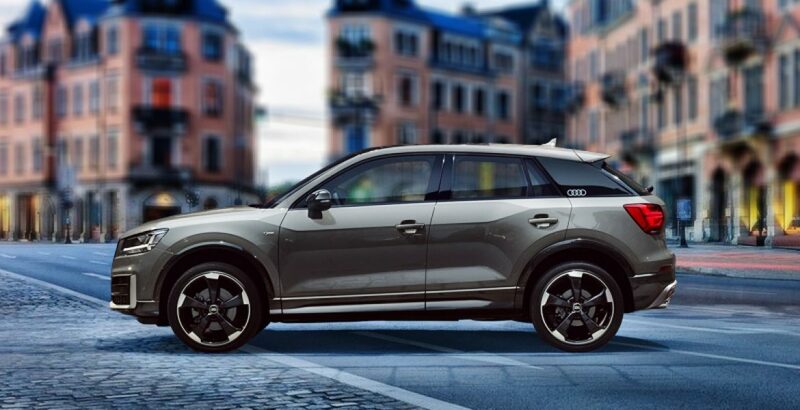 With the abundance of configuration options, you can easily turn the luxury-oriented SUV into your personal Q2. The latest luxury-class infotainment and assistance systems also have several variants, offering you the free choice to choose your favorite one. 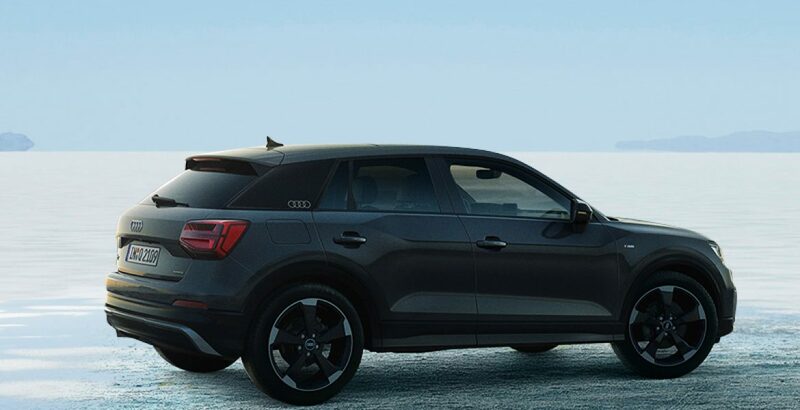 In short, the high-end Audi Q2 four-wheeler takes special care of its fans and successfully caters to their personal and individualized needs. 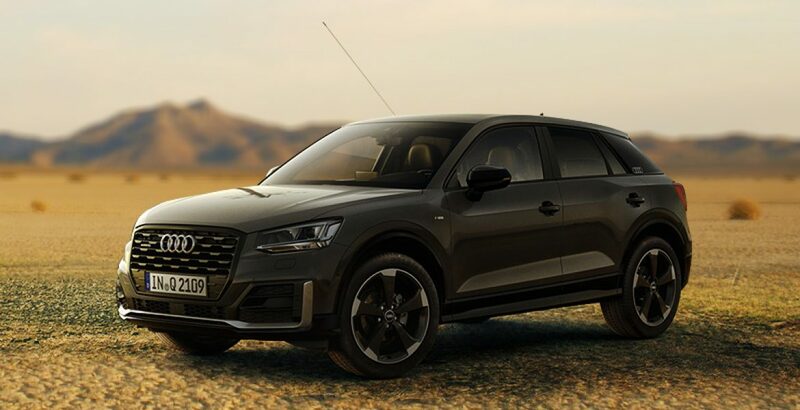 In Audi Q2, one of the best sports luxury cars, the exciting interior and exterior design harmonizes with an equally exciting driving experience. And such a blending of excitements is usually very rare to be seen in the competing brands. The Audi has its own place, its own clime. It gives you all the options to personalize both the interior and exterior right according to your own style and taste. The personalization options range from the outside appearance and inside styling to the entertainment system and connectivity, and even going beyond the machine specs. Did you ever come across such an amazing level of vehicle customization in any other luxury sports car brand in the country? Surely, not. So, if you can afford the Audi Q2 price in Pakistan, just grab it. Though Q2 is one of the low-priced Audi cars in the country, it is still beyond the reach of lower middle class buyers. The individuals from upper middle economic strata of the society would be able to get it against a little over 60 lac rupees, but it may be difficult for them to afford the fuel expenditure and maintenance charges. So, price tag suggests that the car is meant exclusively for the elite class buyers who have an insatiable passion for sporting and luxury. Audi Q2 2.0 TFSI engine is available with 125 kW and 155 kW power.